Home > Personal Injury > Should I Take Photographs After a Car Accident? Should I Take Photographs After a Car Accident? A car accident claim can help you obtain compensation for damages you incurred due to the collision, including medical bills, lost wages, pain and suffering, and more. However, you must prove several things — that the driver was at fault, that the collision directly caused your injuries, and those injuries resulted in damages. Photographs are a key piece of evidence in these cases and can illustrate the extent of injuries and suffering. Here’s how to take pictures after a collision. If you crashed on a road without a lot of traffic or your vehicles cannot be moved without a tow truck, go ahead and try to snap a few photographs of the vehicles in-situ before they are moved to the side of the road. This can help insurance adjusters better determine who may be at fault for the collision, especially if there were traffic cameras or nearby security cameras to pick up footage of the accident. The damage to your vehicle is important for two reasons. It’s what insurance adjusters will use to determine how the accident likely occurred as well as to help assign a value to compensate for repairs. 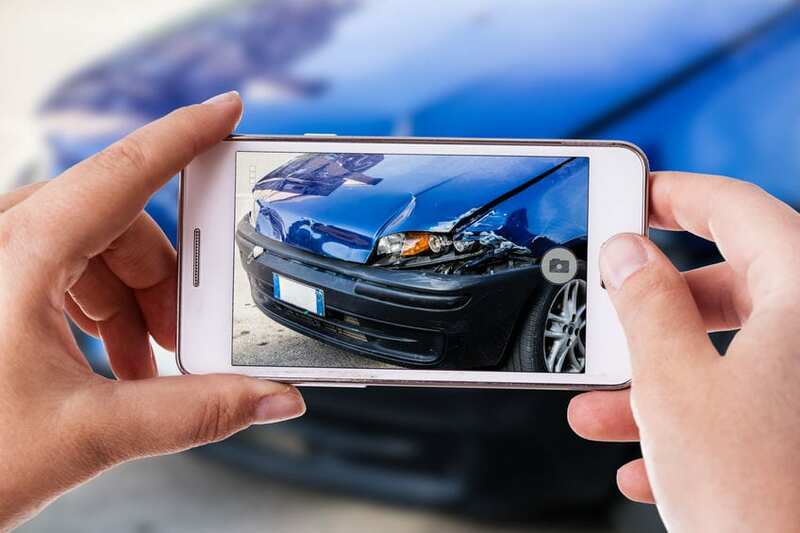 Take pictures of your vehicle from far away to show the entire car, and then take photos of each part of your vehicle up close to illustrate the extent of the damage. Make sure to jot down notes of what area of the car you are photographing if you are taking pictures close enough for it to be difficult to tell just from the picture where on the car the damage is. Your injuries should also be photographed at every stage of healing. Take pictures of the wounds before the hospital cleans them up if you can, and then directly after. Take a photo every day or every other day as your wounds begin to heal and jot down in a journal how you’re feeling that day. This evidence can be used to illustrate how extensive your injuries were, what kind of pain they caused you, and how they interfered with your daily life. If you’ve been involved in a car accident, you need aggressive legal representation to help you get the financial restitution you deserve. Contact the Bourlon Law Firm today for a free initial consultation at (361) 289-6040. What Should I Do If the Other Driver Wants to Settle Our Car Accident Privately? Can a Father Get Child Support After a Divorce in Texas? What is the Difference Between Court Ordered & Contractual Alimony?